Providing you the best range of plastic pallet, press wood pallet, pallet covers warehouse, pallet straps, reusable pallet covers and pallet straps velcro with effective & timely delivery. 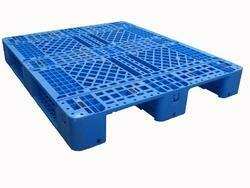 Product Description Non Rackable, 9 Leg Pallet. Manufactured from High Quality UV Food Grade. Polyethylene material. Safe for handling, improve workers safety. 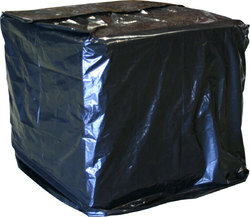 Our Enviro pallets are designed as an alternative to standard wooden and plastic pallets. 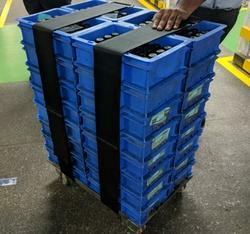 Standard wooden pallets are often subjected to strict import restrictions and plastic pallets to environmental accusations and high costs.Made from materials ranging from recycled wood fibres to sugar cane pulp these pallets are eco friendly and are in compliance with ISPM 15 Guidelines for wood packaging. Certified for export to Argentina, Australia, Brazil, Canada, Chile, China,India, Japan, Mexico, New Zealand, South Africa, Taiwan and the USA. 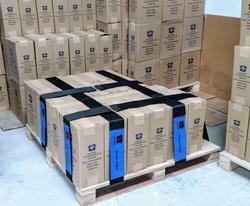 Allpallets are free of plant pests according to FAOIPPCISPM 15. 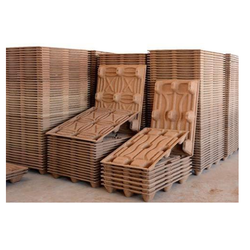 Our compressed fibre Enviro pallets are prepared in the same way as particle board. Afterdrying the woodchips at as high as 65 DegreeC to a moisture content of less than 10%, it is then moldedunder a hot compression molding process with a similar binder used in particle board. 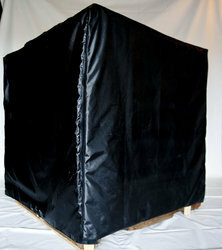 This process involves a pressure and temperature of as high as 85kg/cm2 and up to 150 DegreeC, respectively. No living plant pests can survive this hot compression molding process. 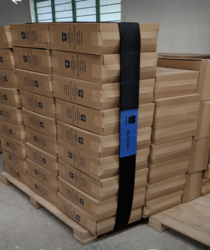 The high density of these compressed fibre pallets, as high as 1.3g/cm3, produced under this process is resistant to any wood boring insect and future infestation.